This week we focussed on the transfer of heat through conduction. This is the heat transfer that occurs through surface contact. We looked at 4 different objects and identified the heat source that was transferring its heat to the object through conduction. 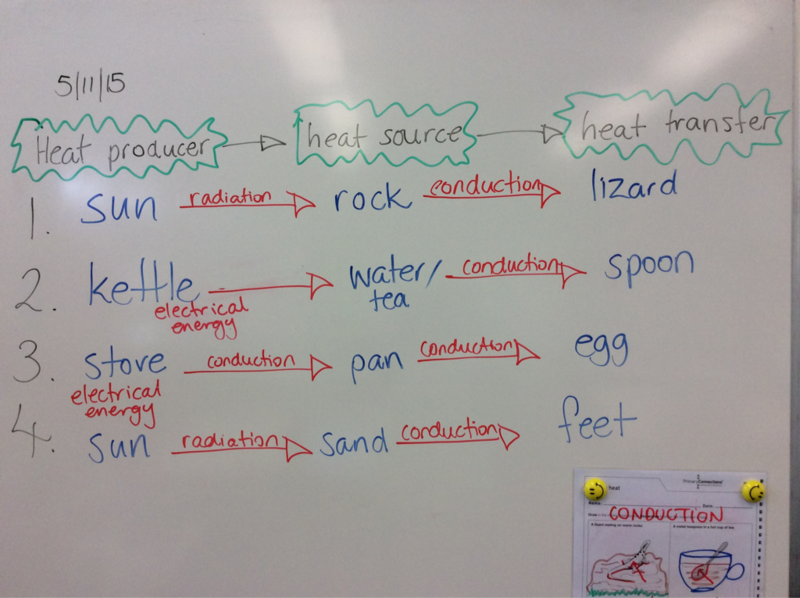 We drew the heat sources, then added arrows to show the way the heat was travelling - from the hot thing to the cooler thing, and identified the areas that are in contact and where the heat transfer is occurring. Because we are very clever in year 3, we then decided we would try to trace back where the heat was first produced. This is helping us understand that heat producers, heat sources and heat transfer are different things and the heat process can get quite complicated. 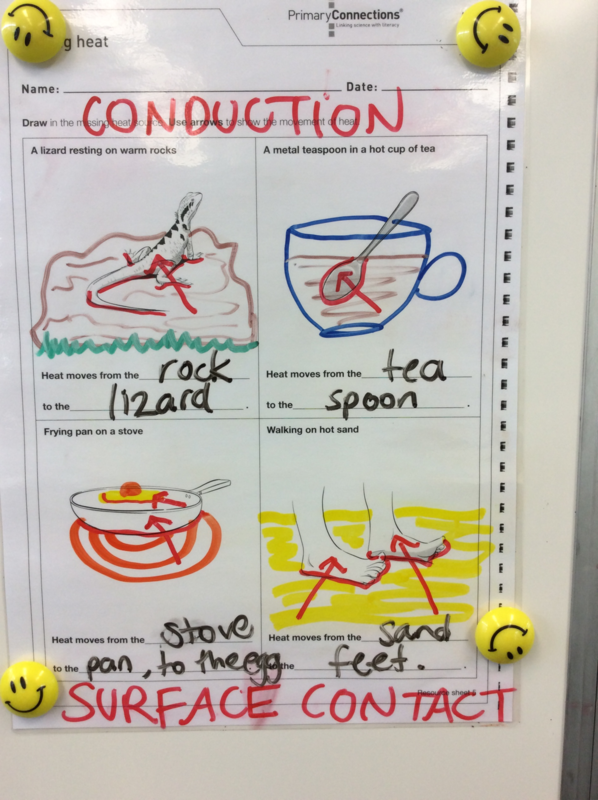 Next week we will be designing a poster to warn students of the dangers of touching hot things. This will be to show our understanding of heat processes, for more information, watch the preparation video. Why do we use a poster? We use a poster to display ideas and information. We can view a poster to collect ideas about a topic. What does a poster include? A poster includes a title, words and pictures. It might include graphs, photos and tables as well as borders, arrows and labels.